Deploy your troops, call in reinforcements, take control of enemy positions to secure your advance... and make sure that your friends are covering your flanks! 70 years after D-Day, commemorate the Normandy landings with these six unique Battle Maps of the D-Day Landings. 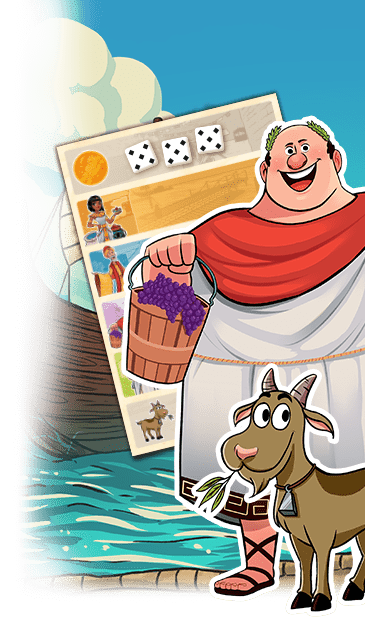 The new Extended Breakthrough format introduced in this expansion is 23 hexes deep and offers you battles on a scale and scope you've never seen before! Each battle can be played individually or assembled with its neighboring scenarios for epic Double- and Triple-Map battles. 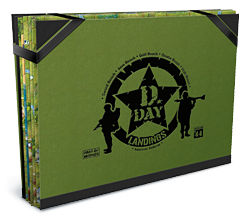 You can even link all six Battle Maps together for the Ultimate D-Day Landing Experience, creating a giant board that recreates the entire Normandy coast! 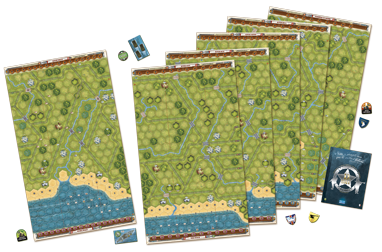 Link all six Battle Maps together for the Ultimate D-Day Landing Experience: Operation Neptune! 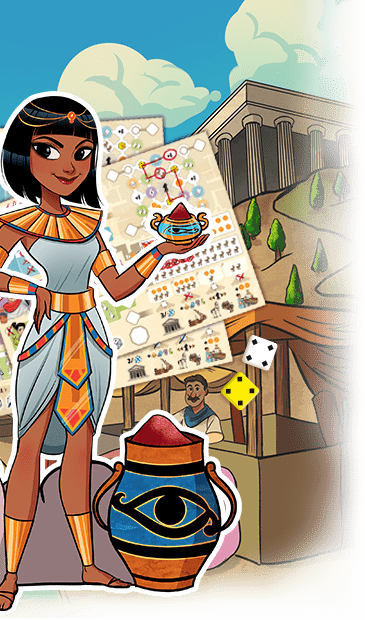 This product is an expansion for the Memoir' 44 boardgame. 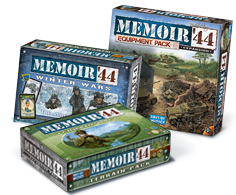 At least one original copy of Memoir'44 is required to play, as well as the Terrain Pack, Equipment Pack and Winter Wars expansions. The Mediterranean Theater expansion is also recommended, though not required. More copies of the base game or expansions are required if you want to play a Double, Triple or Six Map battle.